This is Los Angeles, my home. I have spent time this morning writing letters to my children. 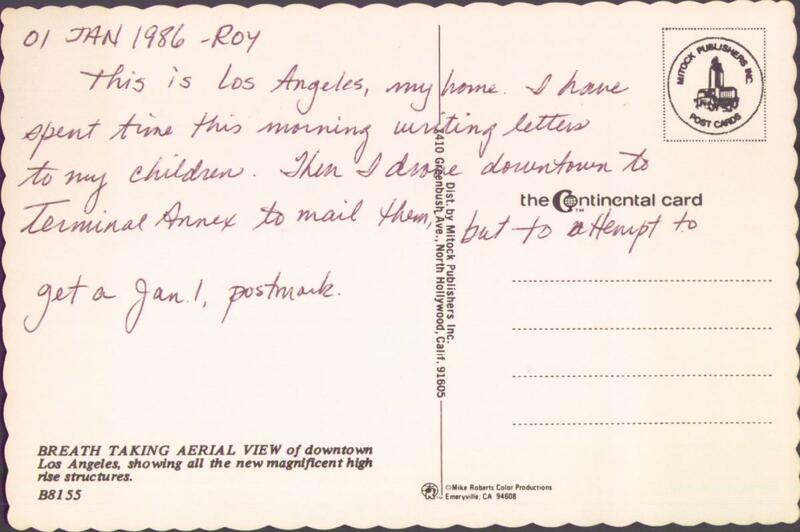 Then I drove downtown to Terminal Annex to mail them, but to attempt to get a Jan. 1 postmark. 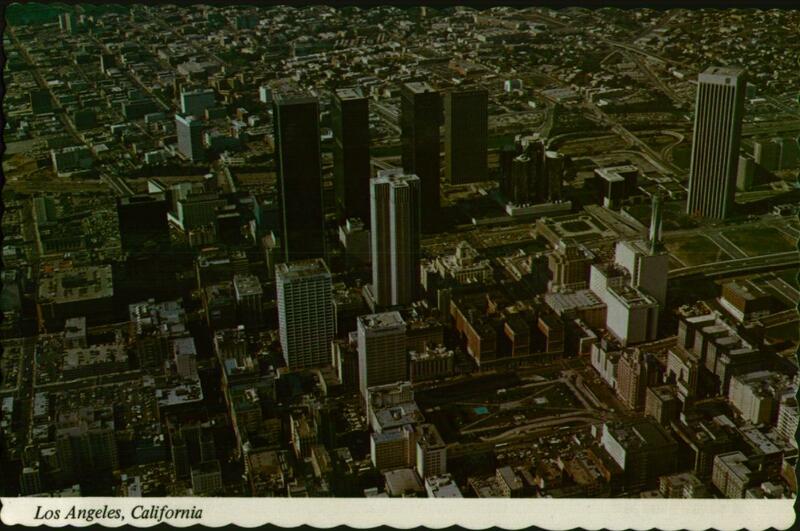 BREATH TAKING ARIAL VIEW of downtown Los Angeles, showing all the new magnificent high rise structures.